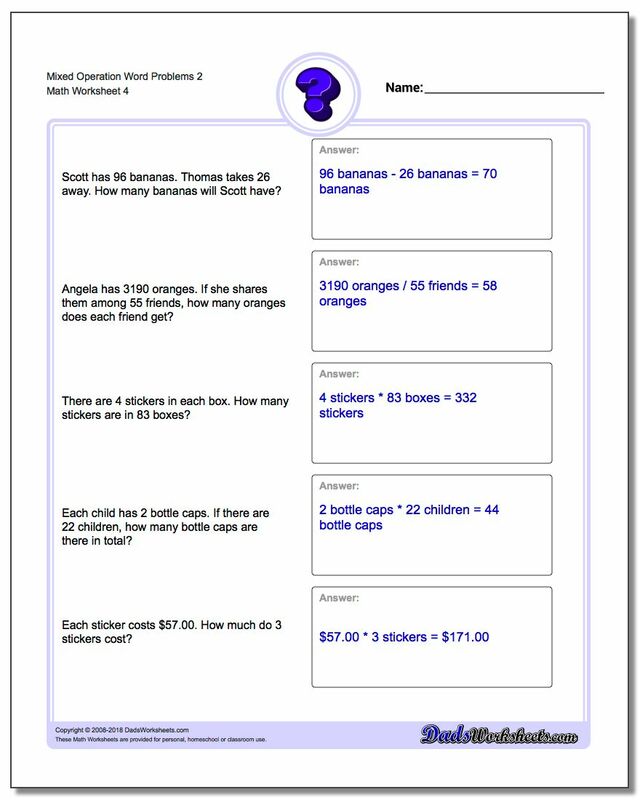 The whole enchilda! These workshes mix addition, subtraction, multiplication and division word problems. 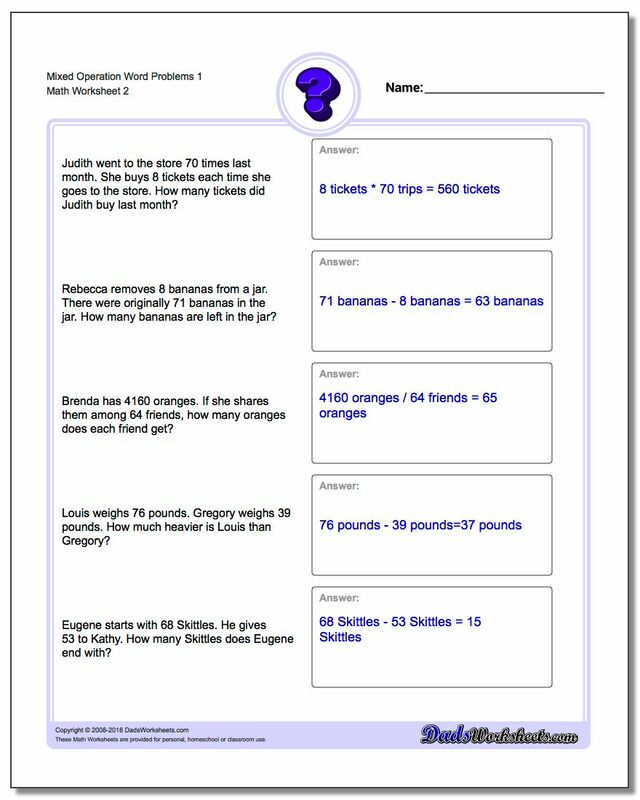 These worksheets will test a students ability to choose the correct operation based on the story problem text. 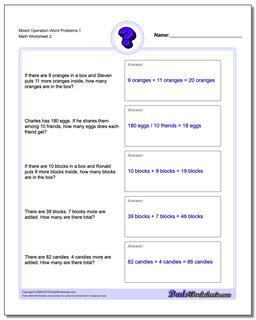 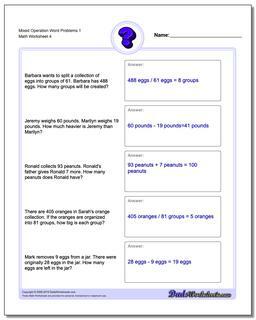 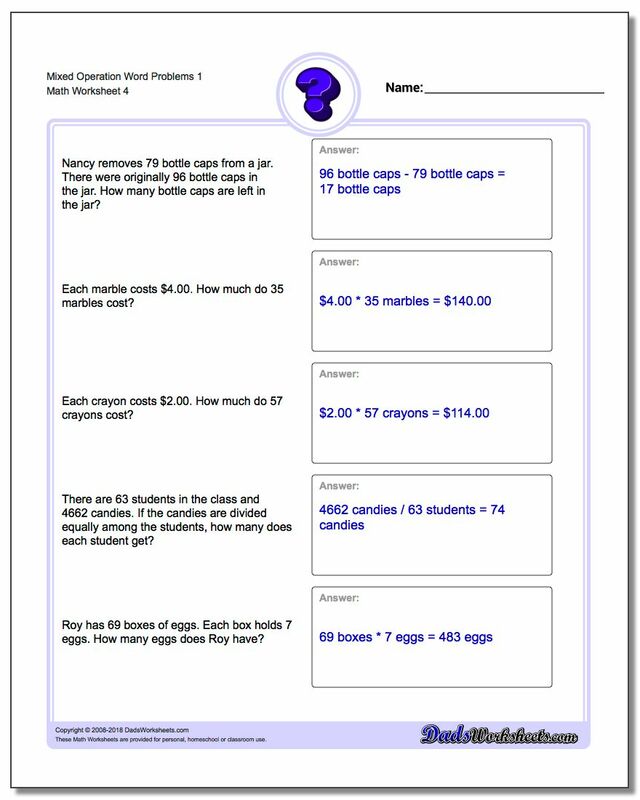 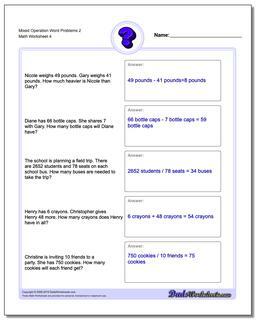 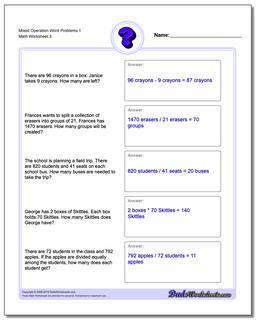 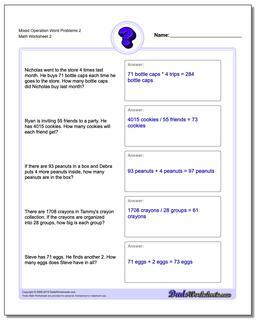 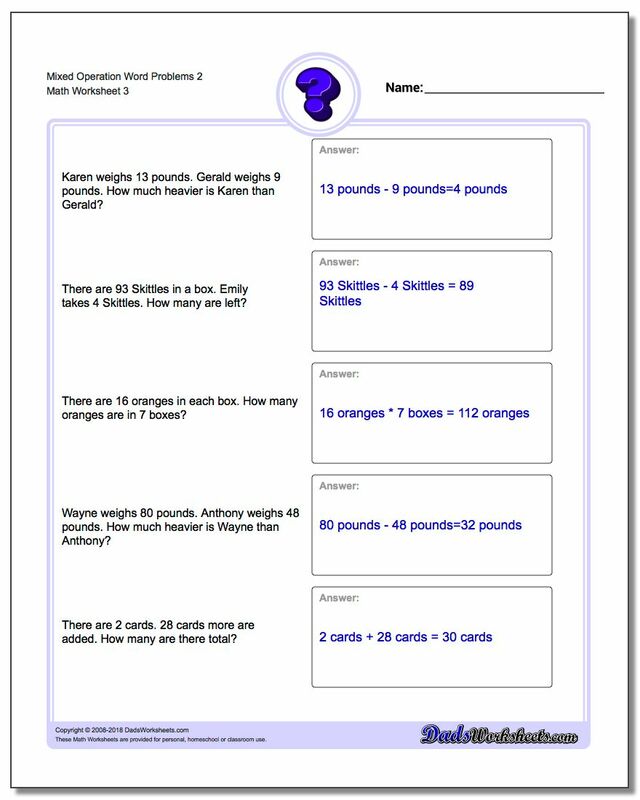 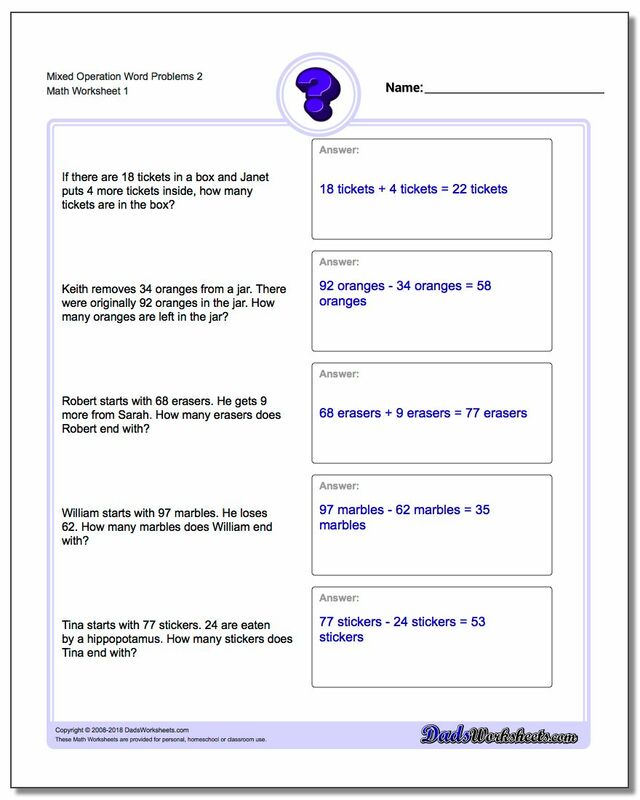 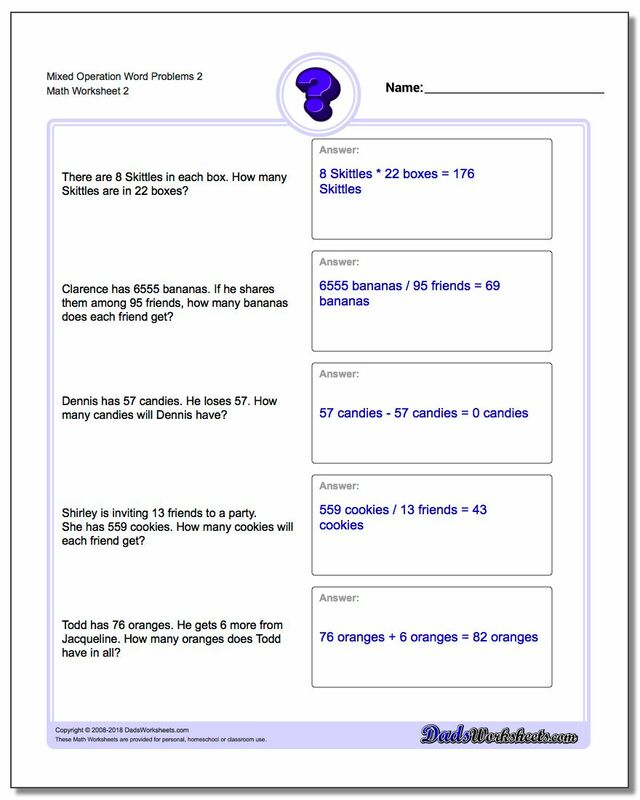 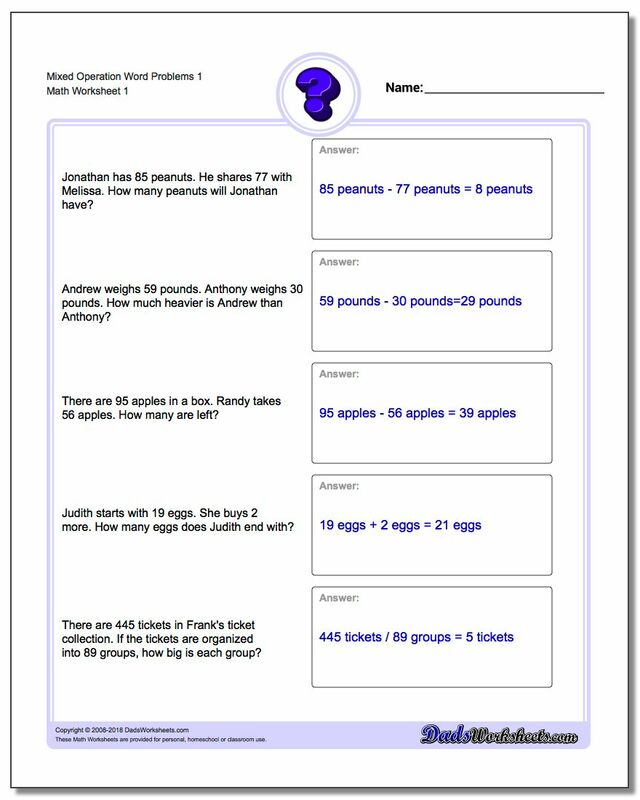 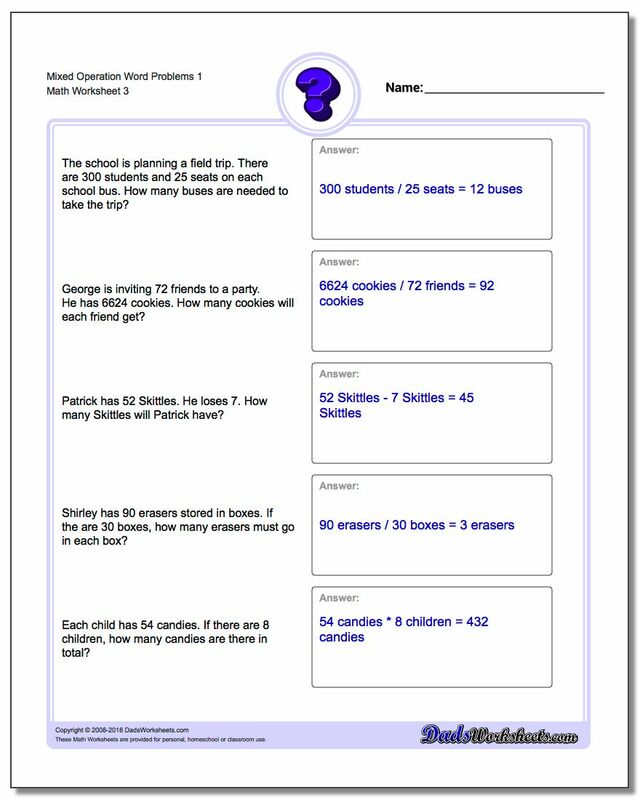 The worksheets on this page combine the skills necessary to solve all four types of problems covered previously (addition word problems, subtraction word problems, multiplication word problems and division word problems) and they require students to determine which operation is appropriate for solving the each problem.